1. Click <Load Audio or Video File> button or drag-drop file into the file information box to load file. 2. Spin the dial to set the value of volume boost. Click the up-down button to adjust the value. 3. Click <Adjust Volume> button to set the target file name and start process. 1. 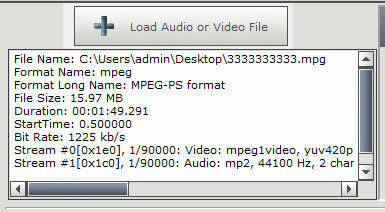 Click <Add> button or drag-drop to add video/audio files into the file list. Click <Add Folder> button to add all video/audio files of a folder. Click <Remove> button to remove file from file list. Click <Clear> button to clear the file list. 2. Set the volume options. 3. Click <Adjust Volume> button to set the folder name and start process.